Nassau County Museum of Art, in Roslyn, NY, has announced a major museum exhibition to celebrate commercial fragrance and cosmetic packaging as an art form. Centered on the creations and personal collection of renowned packaging designer Marc Rosen, the presentation, “Glamour Icons,” opens July 22 and runs through November 5. The retrospective spans Rosen’s 40-year career, and highlights his iconic designs for fragrance, makeup and skin care products created for some of the world’s most famous fashion designers, celebrities and cosmetic houses. Among the perfume bottles on view will be Rosen’s award-winning Shanghai, inspired by that city’s dynamic contrasts between the old and the new; KL for Karl Lagerfield, an Art Deco fan-shaped crystal bottle that has become iconic; Il Bacio, produced for Princess Marcella Borghese and echoing Italy’s rich design heritage; and Dahlia, a multi-faceted glass orb Rosen produced for actress Arlene Dahl who later became his wife. Rosen’s designs for Lucia Magnani’s luxury skin care products combine the qualities of jars and bottles with the vintage flavor added by the tortoise shell closures. His assorted cosmetic cases for Eastman Chemical Company, use clear plastic resin in designs that range from ultra-modern to vintage. Rosen’s designs are in the permanent collections of the Museum of Modern Art in New York and the Musee de La Mode in Paris. His work has been recognized with seven FiFi Awards (the Oscars of the fragrance industry). Passionate about his field, Rosen writes a column for Beauty Packaging in the U.S., as well as Esprit in the UK and Embalagio Marca in Brazil. In addition, Rosen is the author of two books: Glamour Icons: Perfume Bottle Design (2011) and Rubbing Shoulders (2016). Rosen’s design vision is inspired by his work with famed beauty manufacturers and fashion names such as Revlon, Estee Lauder, Nina Ricci, Perry Ellis, Oscar de la Renta, Avon, Halston, Chloe, Karl Lagerfeld, Fendi, Bath & Body Works, Victoria's Secret, Ellen Tracy and Burberrys, among many others. He has previously been involved in three acclaimed exhibitions. In 1979 Rosen organized Cosmetic Packaging: A 20th Century Art Form for the Fashion Institute of Technology in New York City and, in 2002, he organized Glass Houses for the opening of Pratt Institute's graduate center in Manhattan. 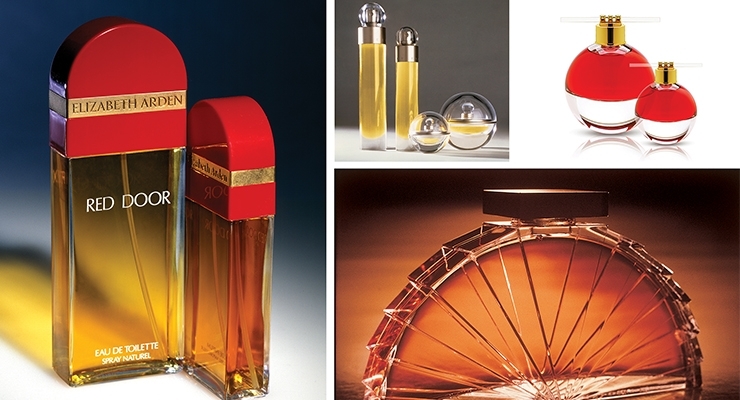 Additionally, Rosen co-chaired the Fragrance Foundation’s 1986-7 traveling exhibition, Scents of Time. On September 17, Rosen will present a gallery talk and sign copies of his book, Glamour Icons: Perfume Bottle Design. The book is available for sale in the museum store. The program is free with museum admission. Accompanying Glamour Icons is New York, New York a major exhibition exploring the heartbeat of a major metropolis through more than 140 works by artists John Sloan, Reginald Marsh, Childe Hassam, Red Grooms, Robert Henri, Fairfield Porter, Georgia O’Keeffe, Berenice Abbott, Milton Avery and many others.